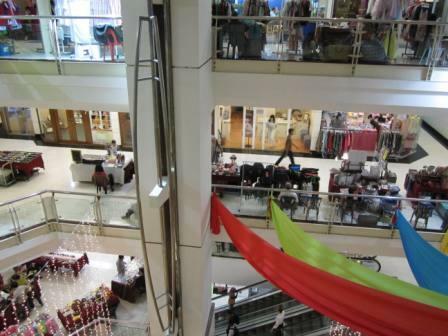 Usually most of the major shopping malls are crowded during weekends. 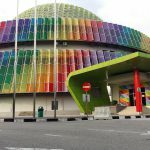 Amcorp Mall is one of the quieter shopping malls around Klang Valley that is suitable for those who dislike crowded places. You can access there via the Taman Jaya LRT station or drive and park outside or at the basement. Parking comes up to about RM2 (we were there about 2 hours – longer may be more expensive). 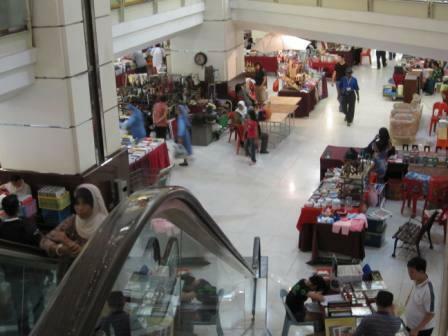 During weekends, you can visit the weekend bazaar there where there are temporary stalls set up selling all types of items from memorablias, household items, old music records (the piring type), decorative items, cakes, cookies, clothes, handbags, craft items and books. 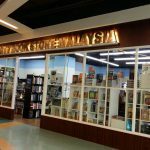 There are some motivational and sales books such as “Who stole my cheese” or the “Rich Dad Poor Dad board game”, CDs that are sold for very low price (about RM15 per book- available at a stall located same floor as Giant). You may also sit at Starbucks with a cup of latte and your laptop and type away or watch the crowd visiting the weekend bazaar goes by. 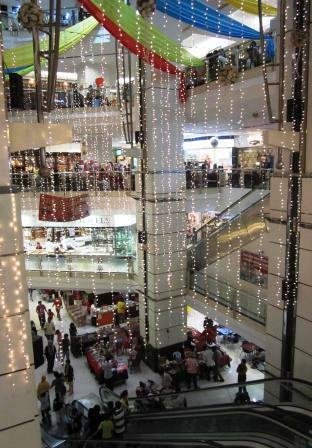 Aside from that, Amcorp also have the usual chain of stores like Watsons, Popular, XES, Giordano and Giant that you can go in to buy items- because the prices are usually standard amongst there stalls. 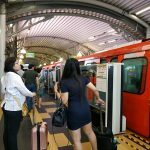 The area is also much less crowded no matter what time of the day that you go.